The JT Realmuto saga is finally over. 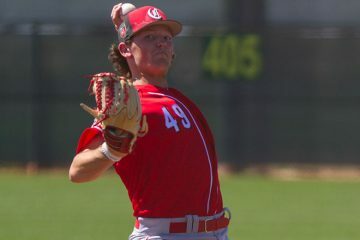 He has been traded to the Philadelphia Phillies, ending what felt like years of speculation about where he would land. The Cincinnati Reds were thought to be among the favorites to land him at one point in time. There were multiple rumors out there over time about what was being offered. One rumor included prospect Jonathan India, Tucker Barnhart, and a third unknown prospect. That was not enough to make the deal go down. The Phillies swooped in on Thursday and got the deal done. They traded catcher Jorge Alfaro, prospect Sixto Sanchez, prospect Will Stewart, and international pool space to the Marlins ($250K). The Phillies got back JT Realmuto, and nothing else. Let’s dive into the players that the Miami Marlins are receiving. Jorge Alfaro is the only player that has Major League experience. He’s a former well-regarded prospect. He rated as high as #41 on the Baseball America Top 100 Prospect list before the 2017 season, and was inside the Top 100 three times on their list (and five times on the MLB Pipeline list). The now 25-year-old catcher played in 108 games for the Phillies last year. He hit .262/.324/.407 with 18 walks and 138 strikeouts. That was a strikeout rate of 37%. Jorge Alfaro has a cannon for an arm. His poptime rated out as the third best in all of baseball last year. Of course, the top mark went to JT Realmuto. Alfaro also has plenty of power potential. But there are legitimate concerns that he’s going to hit enough, even as a catcher, to be an every day player. In 2018 he was worth 2.1 fWAR or 1.2 bWAR, depending on which version you prefer. ZiPS, however, sees a huge backwards slide for him in 2019. He’s projected for a .226/.279/.364 line and just 0.4 WAR. That strikeout rate and a more normal BABIP are expected to catch up with him. On the prospect side, the Phillies moved their top prospect, Sixto Sanchez, and another prospect in Will Stewart in this deal. Sanchez, depending on where you looked, ranked somewhere between the #13 prospect in all of baseball, and the #30 prospect in all of baseball. He’s got legitimate top of the rotation stuff. He’s also just 20-years-old. But in 2018 he threw just 46.2 innings, missing most of the year with an elbow injury that didn’t require surgery. Stewart is a solid prospect, but ranks as the #18 prospect in the Marlins organization according to Fangraphs.The team also gave up some slot pool money in the upcoming international signing period. How does that package compare to the one that reportedly was on the table for the Cincinnati Reds? It’s tough to say. Looking at the Major League assets, Tucker Barnhart is the safer of the two catchers. He is currently more expensive, and has one less year of team control on his deal. Where Jorge Alfaro has an advantage is in the upside department. If he fully develops his power, he could be a 25-homer caliber catcher who brings you good defensive value. But will that strikeout rate ever be improved enough that he will hit for anything more than power? He’s far more risky, but does have the upside advantage. When it comes to the prospects, focusing on Sixto Sanchez and Jonathan India seems to be where we need to go. We never knew what the third player would be from Cincinnati, but if we assume it was someone in that 13-20 range, much like Will Stewart was, it wasn’t going to make or break the deal. Sanchez is the better prospect between he and India. Depending on exactly where you want to look, the difference isn’t small. It’s not huge anywhere that you look, but some places are going to reflect a decent gap between the two guys. This might be the spot that made the Marlins choose the deal over the Reds offer. Sixto Sanchez profiles a lot more like Hunter Greene as a prospect than as a guy like Jonathan India. While some places have India and Greene rated very similarly, the difference comes with the upside. A guy like Greene or Sanchez represent future top of the rotation caliber pitchers. They’ve got elite stuff that could put them near the top of the group among all pitchers. There’s risk involved because they are pitchers, and there’s a little more risk because both guys have also missed time with elbow injuries. But you can dream on them being franchise changing players. With Jonathan India, while he’s a very good prospect, he doesn’t have that look right now of a franchise changing prospect. He’s a guy who looks more like an every day third baseman who could be an All-Star in some years. And there’s absolutely nothing wrong with that. It’s very high praise, actually. But you can understand the difference between that kind of guy, and a guy who takes the ball in game 1 of a World Series and you feel confident you are going to win that game because of it. India is a safer bet. He’s not a pitcher. He hasn’t been injured already and missed a chunk of the most recent playing season with an arm injury. And he is likely to be ready to contribute in the Major Leagues sooner than either of those two guys will be. There’s some give-and-take with what kind of prospect you would prefer to lead that kind of deal. It seems that the Marlins are betting on upside, though. They are betting on the upside of Jorge Alfaro. And they are betting on the upside of Sixto Sanchez. And that seems to be why the Philadelphia Phillies landed JT Realmuto and the Cincinnati Reds didn’t. 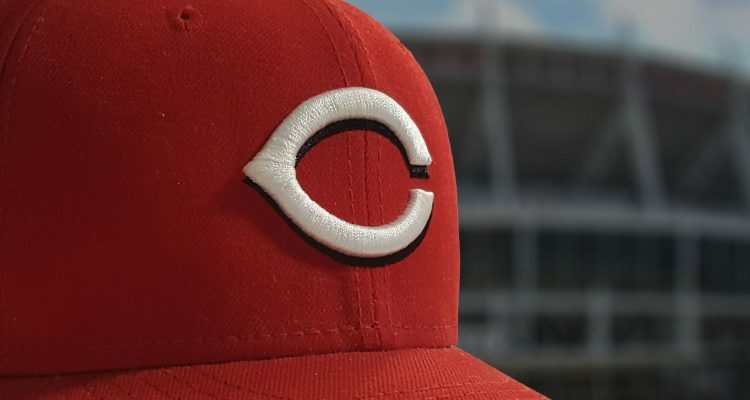 The Reds didn’t seem to be willing to include Hunter Greene in trade deals this winter. They are betting on the upside of Greene and want to see that play out. Had they been willing to offer him, instead of India, perhaps JT Realmuto is in Cincinnati today shopping for a place to live. But they weren’t, and he isn’t. I am glad the stuck to there guns. I think the Reds presented a good offer, and Phili beat it. Sometimes the best trade is the one not made. I was really up on getting JT in a Reds uniform. Tucker has been a respectable stand in, but none of us feel he is the answer at backstop. Plus, even though JT hasn’t been in the Bigs as long, I think the pitchers might respect his game calling more just because of his stature as an elite player. Then there’s his arm,,,,,,Just sayin’ . If he had a couple more years left on his contact, I’d be willing to ship out Hunter for him. But he doesn’t and we didn’t. Great comment, right? I’m more than content to keep India, Barnhart, etal. Not giving up the farm for TWO years of Realmuto, though I would have been ok with the trade as offered. Barnhart will more than hold down the fort until Tyler arrives in MLB. And India may end up being the best hitter in this past draft and can handle 3B, 2B, with a hope that he can grow into a SS. I doubt SS works out, but I’d at least like to see him try. Odds are he plays 3B/2B and if he stays blocked at those positions long term he either gets traded later, or possibly ends up in RF if the bat ends up too good to ship out. He has plenty of arm and enough speed to handle the OF. I think we see 20+ HR from India this year across High A/AA, he’ll walk plenty, the big question is how the K rate goes. I think it was a bit high last year in part due to fatigue. He played meaningful ball from February through September. This year he gets a proper spring training, doesn’t have the uncertainty of the draft and that whole process, and doesn’t have school taking up a large chunk of his time either. By the end of this season India will either fall to the back of the Reds top 10 or be a top 15 prospect in the game. 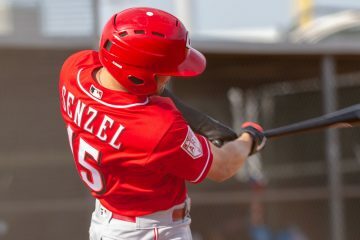 Or possibly Senzel does well in center and India replaces Scooter after Scooter leaves at end of year in free agency. Regardless of where India ends up, this I think was a good no trade. The Reds offered good value to the Marlins but they found better. That is OK with me. Do not forget the DH will happen in the NL is 2020 (much to my dismay). This might change the opinion of keeping Scooter to DH? It seems franchises need a combination of upside and safety in their systems. The Reds have that at the top of the farm. I like that, and I’m glad this worked out the way it did. I would have been fine with the trade that included India and Tucker, but not Greene, Trammell, or Senzel. Major miss for enhancing Reds chances to be title contenders for the next few years. 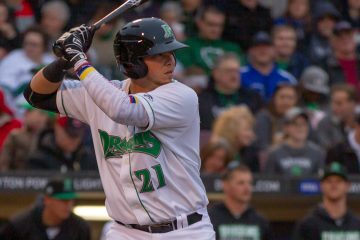 One hopes prospects evolve into the best in the game, but it’s very iffy any Cincy farmhands will. However, Realmuto is the best in the majors and he’s at arguably the most important position. Reds should’ve given Miami whoever they wanted. Better to have the absolute best (Realmuto) than to hope those that weren’t traded someday become impact players and so what if they do, so long as the Reds win now – and Realmuto could’ve made the difference in enabling the team to reach the post-season. Huge disappointment! Meanwhile, the Phils are doing everything they can to go for the flag in 2019. Giving up two Top 10 prospects for Realmuto would’ve done the trick. Both of the Top 10 prospects would not become impact players and it’s highly unlikely one will ever get to be the best at his position and even if he did, then the trade would amount to a one-for-one trade, with Cincinnati reaping immediate dividends. Look back at the Top 10 Reds prospects over the past 10 years and you’ll see that none have become anything close to being the best in the game at their position. Don’t die holding onto your Risk cards. Gotta politely disagree. Two is not a few. I don’t understand your mindset. Do you legitimately believe realmuto makes the reds comparable or better than the Cards, Cubs AND Brewers for the next two years before he goes to free agency? I don’t believe the 3 WAR difference between him and barnhardt does it and that’s the only way the trade would have made sense for the reds (it is highly unlikely that they would have gotten similar value at the trade deadline with less control). What’s so scary about the brewers cubs and cards fish ?? Yeah they are good teams but all are very beatable and not elite by any means. Maybe you put too much weight in war ? It’s almost like ur certain what’s going to happen throughout the season based on war projections to the point where it’s almost meaningless to play the games. Reds today are comparable to all 3 of those teams. And the projections Doug wrote about yesterday had them right there w rest of division. Our lineup is comparable. Our starting pitching is not. Bullpen is debatable. We’re counting on a step forward from Castillo and a major return to form from Sonny Gray. Moves can always be made at the deadline as well if we are close. I’m not worried about our lineup scoring runs. I’m very worried about how many runs our pitching and defense gives up. JT would’ve given the reds the best lineup in the NL, hands down. With an average pitching staff, that makes them contenders in the division. Following your advice is how teams lose for a long, long time. I am happy they didn’t trade India for 2 years of Realmuto. I have been looking forward to a more versatile lineup. It may be 2 or 3 years away, but these guys should be fun! I know it’s fashionable to want flexibility, but the fact is that the more positions you play, they less good you are at playing any particular one of them. In GABP, you’ve got to catch every ball that doesn’t leave the yard if you can, because some balls are going to leave the yard, and you don’t want people on when it happens. You can tell a lot about a young man in rookie league ball. 0 Neil, Votto, Boone, Bruce, Frazier, Barnhart, Senzel, India, Siri, Suggilio just to name a few. These men are gamers. They hustle they listen they love the game. I am so glad the Reds kept our top guys. I think they asked if they could get the 72 hour negotiation period, and the fish said NO. If you could sign him to an extension, then he is worth more. Questionable choice by Marlins. They seem to be going after boom or bust guys. India would’ve by far been their most stable, if not ONLY stable, prospect. The past handful of position players they’ve dealt for strikeout like 30% of the time. Tough to build a winning lineup around that no matter the upside. Love your choice of name–and photo. The Marlins did the same thing in the Yelich trade, and they’ve already been bitten a bit in that deal. Seems they haven’t learned much. When trading a superstar, I think it’s important to get at least one high floor piece to guard against complete busts. The Reds were criticized a bit for it when they made deals early in the rebuild, but guys like Suarez, Peraza, Duvall, Desclafani, and Schebler were considered “safer” targets who didn’t light up top prospect lists. The Reds as are just seem like a half-in team, and half-in seems to always seems to end up worse than all-in or all-out. Reds will find themselves 3+ish games out of the 2nd wildcard at the trade deadline, and Bob won’t sign off on selling off all the guys who are impending free agents. Then they proceed to miss the playoffs anyway. All FAs after 2019, and barring some massive years, I think Wood is the only one you can expect to turn down a qualifying offer. I just really hope they don’t Cozart/Harvey this, because that’s the way to get another 5 years of rebuilding. No, but if you have Puig, Kemp, Gennett, Hernandez, Roark, and Wood all in contract years and don’t get a good haul for them at the deadling and let them walk, that means in 2020 you are right back in the same situation as the 2017 and 2018 Reds, just swapping All-Star Gennett for Sonny Gray and removing some of your prospect depth. This is a one year shot. If it doesn’t work out, they will be worse off than they were in 2018. Keep in mind Bailey was gone for 2020, trade or not. They have not given up much for any of these guys. A few solid mid level prospects. Even if you do not get anything in trade or QO, then you still have Nick, Hunter, etc. We are better off then last year. A huge thing they’ll have after next season if all those guys are gone is payroll flexibility. This team won’t be carrying any significant dead weight like it did with Homer and Mesoraco. So, they retain their top prospects and cash to spend on the FA market. Seems like a strategy that could work to me. Too early to tell on Harvey but for those that rely on analytics not signing or trading Cozart was the proper course. An injury prone 32 year-old shortstop who is now a more injury prone 33 year old back-up infielder who hit .219 in 58 games. Great move by Reds, Angels are stuck. How does relying on analytics (as if I don’t, therefor my opinion is lessened) prove that not trading Cozart was the proper course? They had a chance to trade him when they were trading Bruce to the Mets and they quote “didn’t pick up the phone” because they were incapable of multitasking. I never argued for signing Cozart, but saying that it was the proper course to hold onto him and not trade him even for a lottery ticket or two is a bit silly. I think you are reading that wrong. He’s saying other teams used those things to not trade for, or sign Cozart and that was the proper move. I disagree, even if none of those guys are re-signed or flipped for assets and they all walk, you still have a position player core of Votto, Suarez, Senzel and Winker (all ~130 wRC+ guys) with Trammell on the way. They had “record payroll” cash coming into this offseason and they signed exactly 1 free agent, Zach Duke, for probably minimum or near it. I’m not sure if them having a bunch of money next year will make a huge difference. While they didn’t sign a splashy free agent they’ve increased the payroll significantly via acquisition. Nep, there are many ways to add payroll, and the Reds have added tens of millions this offseason, both expiring and long term. You cite free agency as if that is the only way to add payroll. This is an example of you conveniently ignoring facts in order to support your negativism. We are horrible at signing outside free agents. The cash comes into play when Wood and Puig have all star seasons and decide that they want to sign long term with the Reds. Reds have had the most exciting off season since junior came to cincy. They had a plan and executed it as well as possible especially when u consider no notable free agent would come to cincy in first place. Yet fans still find the dumbest things to complain about. I’d rather them be competing all year and actually put a decent product on the field for once than be looking to add fringe organizational top 5/10 prospects at deadline. TOTALLY agree. 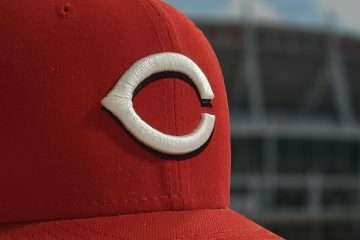 If the Reds are still reasonably in the hunt around the trade deadline and look good doing it, I hope they add rather than subtract. Go for it! I’d like nothing better than to be playing meaningful games deep into the season. Now if they’re In the hunt but it seems kind of a flukey, smoke and mirrors type situation that could collapse at any minute, then maybe shift gears a little bit and try to get max value out of the guys that aren’t in the 2020 plans. Basically, I’m just happy to be genuinely excited about the start of a Reds baseball season. It’s been a minute since that happened. To be fair, a fringe organizational top 5 prospect in our system would be an impact player. If someone at the level of India/Santillan/Tsteph/Siri is available at the deadline and we are off the playoff pace, you need to strongly consider that. No way Puig accepts a qualifying offer in his prime unless he just has a horrendous year. Playing 81 in GABP, I don’t expect a horrendous year from Puig. I would add to that Wood also. I think there at least 2 (probably no more) QO this off season, unless they trade one at the deadline for a bit more. These off seasons have to be scaring free agents though. I am curious if we start seeing more players accept qualifying offers rather than deal with the frigid free agent market. If trading the Top prospects then catching is definitely not the teams biggest need short or long term. I would be happy to go with what they have now a re evaluate in June then again in October. I would like to see them concentrate on extending a couple of those one-year contract guys. If successful then they are around longer, if not they will be easier to move at the deadline. Saw that the Mets signed Mesoraco to a minor league contract. Wish Reds had done it. It was reported that deGrom really likes throwing to Mesoraco. Syndergaard too. And who is a person that would know that? Their former agent who is now the GM. Mesoraco was destined to go back to NY. I guess it had to be a minor league deal because the Mets still have d’Arnoud on their roster. Miami should have taken the “safe” route Barnhart/India. Instead they get a catcher with a “whole” in his bat and a pitcher that can’t stay healthy. Sixto is 5’10” weighs 160lb and throws high 90’s. He is Tommy-John in waiting. Miami thought thinks the Yelich trade was bad….this one is worse. I’m OK with the way things turned out on Realmuto. It seems the Reds made the right offer. Anything more for just two years would have been ill-advised. Yep, Miami went all in on future abilities that may not pan out. I think JT would hit 35 HR in GABP and made us a better team in 19, but 20 would be his last year and gone. Will Stephenson be ready by then? For two years I’m happy how it turned out, four years I add to the deal. T Steph likely starts 2019 in AA. Full year there this year, full year in AAA in 2020, then ready for the show in 2021. He’s flashed hitting ability, but he needs to be consistent. He’s been pretty solid defensively as well, although I always worry about longevity with a catcher that tall/big. At 6’4″ and 225, they probably should get him a first baseman’s mitt and start working him out there a little. Add a little to his value, a C that can back up 1B. Letting him get some work in at 1B shouldn’t hurt any. I think Phil’s came to terms machado and Harper were not going to sign w em and got desperate and over paid. Or they don’t consider Sanchez a top 20 prospect in all of baseball and sold high on him. Actually this move makes it more likely the Phils will sign Machado or Harper. The Phils payroll right now is around 130M so they have plenty of room to add one of these guys. This is a win now move and makes the team more attractive to Harper or Machado who want to play for a contender. With this talk of the NL adopting the DH someday in the near future, would you consider moving up 2 players in your prospect rankings? Would you reconsider Hendrick Clementina ranking at #22 in your current rankings? Would you now consider placing Ibandel Isabel in your top-25 prospects? It would seem with this news that these two player’s value went up by a fair amount. Do you think the Reds will now have a tighter grasp on those two in any future trade talks? Or maybe be more apt to offer them up as trade chips if needed? What’s your take on these two now with this DH news?? The DH existing in both leagues will not change my rankings at all. The value doesn’t change for the player because the DH exists. I’m not as worried about pitching as others are, no we still do not have a true #1 starter and it is probably arguable that we do not have a #2. But I think that for the most part what we have will keep us in games. My concern right now is with defense up the middle. I think Tucker is a better defensive catcher than he showed last year but SS, Second Base and center are all weak at the moment. Plus we still have possibly two weaker hitters in the lineup in Peraza and Barnhart. Again granted that is not as bad as last year’s lineup holes but still not a totally fearsome lineup. Peraza slashed .305/.344/.465 from June on last year which was about a 120 OPS+. I know a season is not just 4 months, but he may not be such a weakness. I believe he may reach 200 hits this year and 30 steals (if Bell lets him run). I think his defense will continue to improve, but you’re right, up the middle they are going to have some issues in the field. Peraza is also only 24. Roughly a year older than siri with 1482 more major league plate appearances. If he can continue that through 2019. I will gladly stand corrected and applaud. But I don’t think you can totally count on those four months. If Peraza was our only hole in the batting order and was batting eighth then I see no problem. But as of now we have 2 #8 hitters. And still the pitcher is batting. Puig, Kemp, Winker and Schebler are all decent hitters but as of right now at leas one of them will be on the bench the majority of any one game. I honestly wanted to see the Reds sign Yasmani Grandal for 3 years and not even worry about trading prospects for Realmuto. I kinda wish Grandals ppl would have came back to the Reds to see if they would beat the Brewers offer. Lets hope Tucker gets fired up and makes us forget even looking to trade for a catcher. Side note, you think Doug the Reds regret not signing Grandal? I think it would depend on the money Grandal would take. The Brewers won’t be able to issue a QO to Grandal, so if we need an upgrade next year, he’ll be a solid candidate. We’ll have to weigh against T. Stephenson’s progress and other needs next offseason, but I agree … Grandal is one to keep an eye on. I am now placing Craig Kimbrel on the top of my wish list. I would also like to see out of options Dalton Pompey acquired from Toronto to back up CF. Perhaps an exchange of out of options players: Wisler/R. Stephenson for Pompey. They tried. The price ended up being too high. They didn’t actually have to have RealMuto, so I’m fine with them passing on it. MLB Commissioner Rob Manfred says no to the DH in the NL for 2019. Says that will probably be the same in 2020 and 2021while under current CBA. At the earliest it looks like the 2022 season before a DH will be in the NL. And it will probably have to be negotiated in to the new CBA. Could another epic twitter rant be forthcoming from DG????? Really hard to implement changes of the magnitude that either MLB or the players are offering just before the season. I’m not against the idea of requiring a pitcher to face at least 3 batters, but I think any game-changing idea should be tried in the minors first. An alternative would be to limit mound trips (essentially timeouts in other sports). One method could be a limit on coaching visits to the mound (full timeouts, not to exceed 2 minutes) and catcher visits (30-second timeouts). Off Topic: The Kansas City Royals announced today that the club has signed right-handed pitcher Homer Bailey to a minor league deal with an invitation to Spring Training. The catcher trade has fallen through and for that I’m happy. I still don’t understand why we don’t do the smart thing and sign Machado. That’s our hole. He gives us a SS and a great bat, perfect to pair with Votto. Plus we give up nothing to get him. Imagine him at GABP! Machado and his bat could slide over to 1B once Votto retires. I like it. That move would really ignite Redsland. I don’t really think SS is our hole, that would be starting pitching. I agree the Reds would be a better team with Machado, but what would it cost? Also, Peraza starts the 2019 season at 24. He was an above average SS every month last year, but May (he was abysmal in May). Consistency usually comes with experience. Barring injury, I think we’re all very comfortable with Peraza at SS moving forward. Today, he’s better than league average–not exactly the spot you want to focus resources. Our starting pitching, though improved, is still the weak spot on the Reds. The Reds are apparently not interested in Dallas Keuchel, and there are no other “difference makers” available. So, shorten the game with another strong bullpen pitcher. Craig Kimbrel is a difference maker and would instantly make the Reds pitching staff deeper and stronger. There’s been no reported interest in him this offseason. The Red’s have about $15M to spend if $135M is their threshold. That’s in the range of what Kimbrel should expect and the Reds have the spending flexibility to sweeten the deal over the next 2-3 seasons. Kimbrel is my #1 target.